ATIV Q convertible tablet from Samsung. Part of the advantage of having both operating systems in one device is that Windows users can quickly call up Android apps such as Angry Birds by seamlessly toggling back and forth between the two OSs by pushing a button without rebooting, as Samsung officials demonstrated in a London event that was also broadcast via YouTube. A major criticism of Windows 8 has been a relative shortage of apps in the Windows Store, compared to app stores for iOS and Android. The dual OS concept didn’t make sense to Carolina Milanesi, an analyst at Gartner, even though she liked the ATIV Q design and its ability to convert from tablet to laptop with a foldout keyboard. “Why would you want both OSs on one device if you wanted to do work and play?” she asked. “To me, this is more about doing technology for the sake of it. The design of the ATIV Q is amazing, but I think it would have done much better in just Windows 8.” She said that while Samsung hasn’t announced the price or other details, she predicted it probably will cost more than buying two tablets, each running a separate OS. Chalk up another one for those Windows Phone tipsters. Back in July, I heard whispers that Microsoft would release to manufacturing (RTM) the Windows Phone 8 operating system in September. The plan, as of then, was that the first Windows Phone 8 devices would ship in November 2012. On September 14, Microsoft’s phone team shipped the OS, codenamed “Apollo,” according to a couple of my contacts.WPCentral is reporting they are hearing the same. And WMPoweruser has posted pictures via LiveSino.net, of what appear to be Windows Phone team members signing an RTM wall. If the OS has, indeed, been proclaimed “done,” it’s time for handset makers and carriers to do their final testing and preloading of the OS onto new phones. Windows 8 makes numerous and substantial changes to how we use computers. Here are the most important ones that you’ll have to get used to. In 2009, J.J. Abrams rebooted the fictional Star Trek chronology and franchise. In 2011, DC Comics did the same with its superheroes. But now Microsoft is about to reboot the very real Windows operating system, and it will forever change how we use computers. Windows 8 is Microsoft’s answer to the question of how to integrate mobile and desktop computing. For the most part, it succeeds, but it’s an ambitious answer that will be best understood only when many people to stop thinking of desktop and mobile as discrete entities. Touch will drive Windows 8’s buzz, but it’s so much more. The biggest change in Windows 8 is that it is designed for touch screens, but that doesn’t mean that the keyboard and mouse are dead. In fact, to see that the opposite is true you have to look no further than the iPad. Apple’s dominating and innovative tablet owns its market, but it drives a booming business in third-party keyboard solutions. Microsoft today announced that its new client operating system, Windows 8, has reached a very important milestone called “RTM” or “release to manufacturing”. The Microsoft team deserves congratulations in this accomplishment as this took almost three years in the making with the shedding of blood, sweat and tears. While this is a very big milestone, Windows 8 is very far from the end game and has a lot of things to prove before the mission is accomplished. Microsoft knows this, but I don’t think many realize just how far Windows 8 has to go. This week at the video game conference known as Casual Connect, Valve head Gabe Newell has taken out the knives and cut up a nice clean slice of Microsoft with heavily negative comments on their next big operating system Windows 8. Newell’s Valve and Steam create a video game environment in which people can download games and keep their accounts with access to those games in the cloud. Newell is currently working to bring big-name games that otherwise would only have been for Windows and OS X machines to Linux in the meantime. With Newell speaking so negatively about Windows 8 it seems almost inevitable that he’s got a back-up plan set in motion. As it turns out, his move with Steam toward Linux as an operating system of interest is “a hedging strategy” as he describes it. His predictions about Windows 8 certainly don’t place him in the favor of Microsoft on the whole, though their having their own gaming portal too never really added up to a great relationship between the companies in the first place. Microsoft says Windows 8 will go on sale Oct. 26. The upgrade to its operating system is designed to work better with touch screens and on tablet computers. 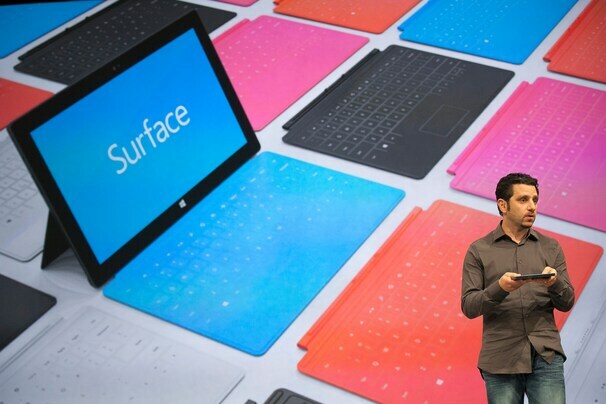 Microsoft announced the date in a blog post and at its annual sales meeting Wednesday. The software company had said earlier that Windows 8 would go on sale in October. Windows 8 PCs are officially coming in October, and Microsoft is holding nothing back when it comes to going after the competition. In an interview with the tech news organization CRN, Microsoft’s chief executive said that while the company has “ceded some of the boundary between hardware and software innovation” to Apple in the past, it is not going to do that anymore. he told the publication at Microsoft’s Worldwide Partner Conference on Monday. He went on to say that Microsoft will be going hard after the consumer cloud market, hardware, software and the tablet market as it looks ahead. There is certainly something interesting happening at Microsoft as the company completely revamps its operating system with the more touch-friendly Windows 8. Not only does the company have its own app store for tablets and computers, it’s also messed around with some of its most recognizable OS features such as the start menu. For traditionalists, there’s still the familiar mouse-and-keyboard navigation. But it also has its own, completely different live-tile interface reminiscent of Windows Phone. Appearing in a wide-ranging on-stage interview here at market researcher Gartner’s annual security and risk management conference, Dell offered insights into several of his company’s rapidly evolving business lines, including the decision to walk away from Android tablets in the U.S. market in favor of Windows. Dell said that he expects Windows 8 devices to enter the market with an attractive price point, and that in the business sector, where the company primarily plans to focus, shops that already run Windows will be inclined to remain in that environment as they deploy tablets and other new devices. Dell also confirmed that the company plans to bring an ARM-based tablet to market. But his enthusiasm for mobile devices does not extend into the smartphone arena. He said in no uncertain terms that the company has no plans to bring a phone to market. “You’re not going to see us in phones, not in terms of hardware,” he said. As for Android and Apple devices, Dell said that the company is making a bid to offer businesses support through its expanding services division, which takes a “device-agnostic” approach. “If you have an iPhone or an Android phone, we want to manage and secure that for you,” he said. Microsoft CEO Steve Ballmer is known for his hyperbole and bombast. He once bounded onstage at an employee event, jumping around and screaming “I LOVE this company,” which helped him earn the nickname, “Monkey Boy.” This time, the hyperbole seems to have been a case of lack of clarification of his remarks earlier about Windows 8.